Happy Laetare Sunday, everyone! I hope the actual “laetare” part got a shout-out at the Mass you attended. It didn’t at mine, but that didn’t stop me from observing it in my own way. I like to dress liturgically when possible. I have also been attempting to propagate my dressing-up-for-Mass ways, so I declared today Fancy-Pants Sunday. 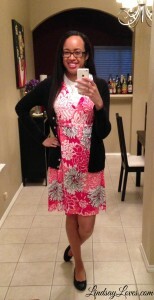 For me, every Sunday is fancy, but I kicked it up a notch today. The liturgical color coordination was almost a coincidence! Gotta have the blurry full-length! Pardon the terrible light. I take these in the front entry of our house, and the porch light is out, so it’s even darker than usual. I got this dress as a hand-me-down from my now-former-roommate. I think it is from a department store. She was purging her closet before moving into her married-lady apartment, and she offered this one to me. By some miracle, I managed to fit into it despite the clear lack of a zipper, so I figured I had better wear it before it doesn’t fit me anymore. Better light in this one, but my legs aren’t *quite* that pasty in real life. The full-length shows off my shoes better, but this one has better light because I took it in my bedroom. These are among the highest heels I own. I don’t usually wear heels because (a) I am already quite tall, (b) I have a bad knee, so the balancing is tricky, (c) my ankles swell. I wear them occasionally anyway, though, because I want to be able to balance and climb stairs and whatnot when I have to wear fancy shoes. The only way to get better is to practice voluntarily. Also, it helps me when I’m assessing the height of the men in my life. I’m going to need to be able to wear at least wedges on my wedding day; let’s be real. I read an Atlantic article about how apparently delightful it is that Jennifer Lawrence is taller than her on-screen love interest, Josh Hutcherson. Nope. Not for me. I’m going to need a tall man. That’s the only superficial thing I want. You can’t see my earrings here, but they are pearl studs. 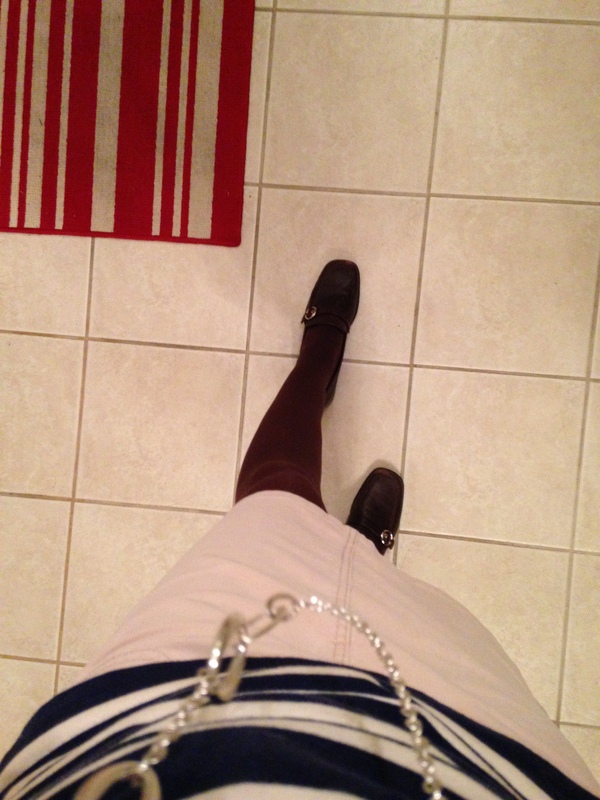 It seemed like a day for heels and pearls. 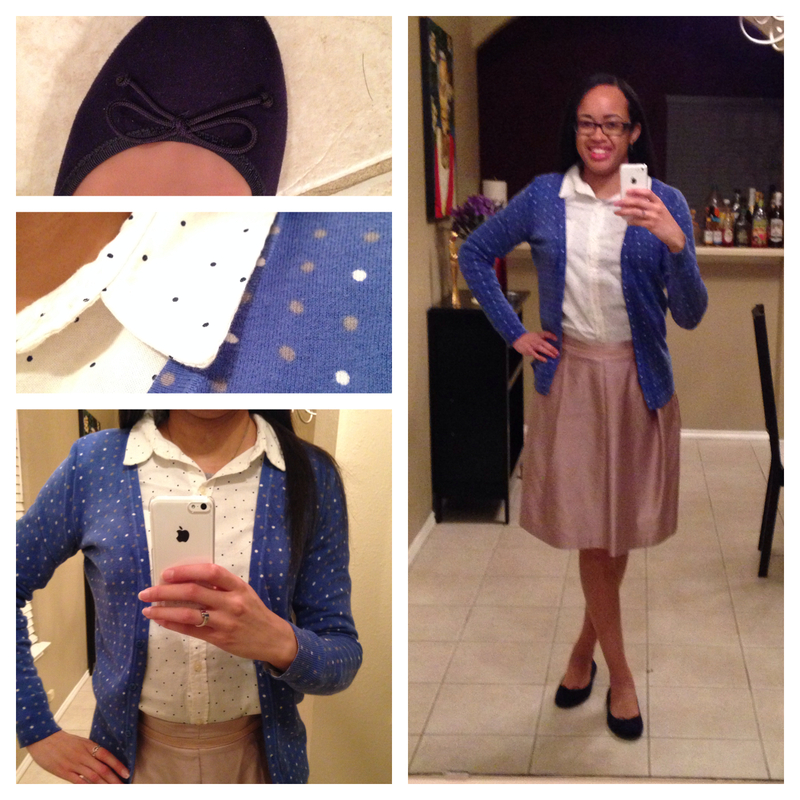 I also added the white bolero jacket from Target because the cap sleeves were not quite enough for church. The camisole completed my modest modifications (mod mods? ), and I wear those holy medals every day. All in all, it was a good look. The shoes kicked it up a notch, and that’s all I really wanted from Fancy-Pants Sunday. Mass was okay (besides heaven touching Earth; that’s always fantastic). The improperly-timed “Lenten symbol” of the week was salt. I’m pretty sure that was several weeks ago. Father Pastor spent the first half of his homily re-telling the Gospel. He made reference to details from the long version after reading the short version. I thought, “Why didn’t you just read the long version?” The second half was about baptism (clearly of infants, though he didn’t specify). I used it as an opportunity to remind myself that I go to Mass for Jesus, not necessarily for the homilies. Have you ever kicked up your Sunday style a notch? Did it feel joyful? Booking Through Thursday: Why Read? I have been reading a lot of blogs this week. I just haven’t been writing nearly as many. Or any. So I will fix that now. I touched on this some in my last BTT, where I wrote (and, I hope, reiterated; that can’t have been the first time I blogged about that!) that I believe we study literature because it teaches us what it means to be human. I’ve been a reader as long as I’ve known how. My mother claims that I taught myself how to read. She says that she would read books to me and show me the pages, as many parents do. On my own, I would look at the pictures and retell the story from memory or make up my own story. One day, she overhead me “retelling” a story only to realize that I was actually reading the words on the page. That is probably not true, but it speaks to my early and lifelong hunger for reading. Even these days, when I read many more blogs and online articles than physical books (or even e-books), I love to read. I was that kid in school who finished her work early and pulled out a book. Thank goodness for teachers who understand how okay and important that was! Reading is the best way to increase your vocabulary. You encounter words in their natural habitat, you see how they are used, and you understand them from context. Flash cards can only go so far. Reading opens up new worlds. Two words: Harry. Potter. Reading shares experiences. I have never brought a patched-together cadaver to life, and the book won’t tell me exactly how, but Frankenstein sure shared the repercussions of that experience! I’ve never had to go into the Federal Witness Protection Program, but How NOT to Spend Your Senior Year was a lighthearted look at what happens to real people all the time. I’ve never been a teenage boy, but I read a fair amount of books (and spent my share of hours in the classroom and youth ministry) to get a glimpse into that world. How else could I get that depth of experience except through fiction? I don’t just read for the benefits, though. I read because I can’t not read. It’s like breathing. Even when my brain is getting fuzzy and my eyes are burning, I can push through and keep going. I don’t want to miss the moment. Why do you read? For more responses, visit Booking Through Thursday. One of these days. One of these days, I will have a solid enough grip on my life to stop doing WIWS two-fers. 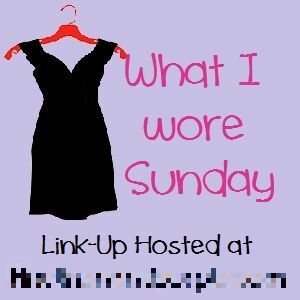 Today is not that day, though, so here are two weeks’ worth of Sunday style. Last week, it was crazy windy, so it was sort of cold but not extremely. (Keep in mind that I live in Austin, where “extremely cold” is anything below 50.) 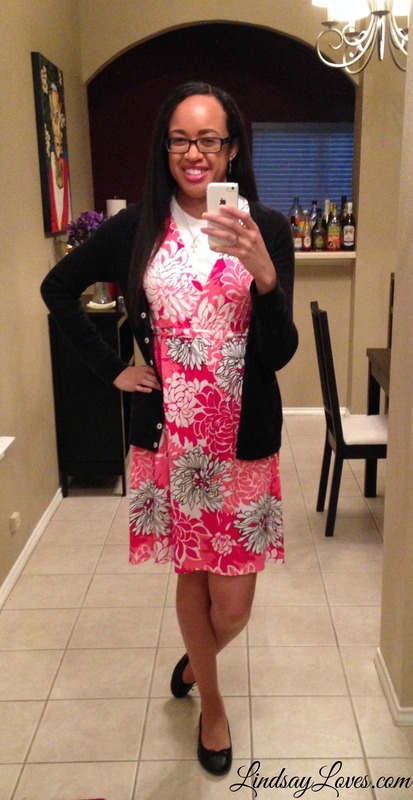 I had to attend my now-former-roomate’s bridal shower in the early afternoon, then go straight from that Austin suburb to church. I also had to be at church early so I could lector. It was a fail of a day. Not only was I late to the shower, but I didn’t leave it quite early enough, so when I ran into traffic due to an accident on the interstate, I knew it was all over. I tried to send a message through my friends that I was late (so they would know I wasn’t coming to lector). I’m not sure if it got there on time, but I didn’t even get there on time. At least I looked good when I was late to Mass? My full-lengths aren’t as blurry lately! Fancy pose to disguise my deep desire to get out of this outfit ASAP. 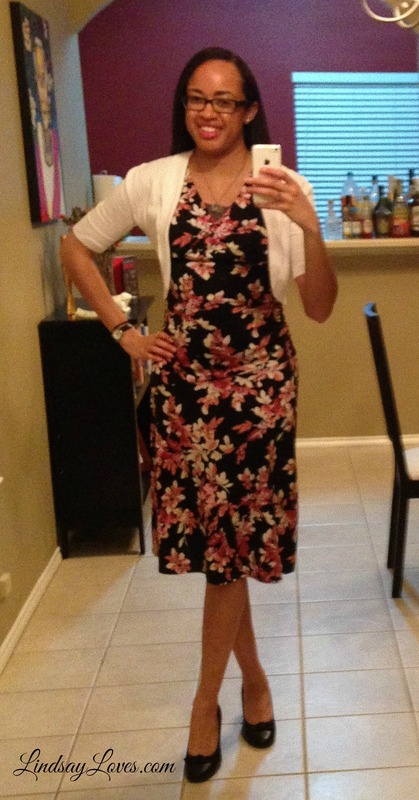 The dress is from the Ann Taylor Loft outlet, because I am always on a budget. I originally wore it for the Year of Many Weddings (for #2). There was never a good occasion to re-wear it until the shower. I added the black sweater to make it more winter/spring/Texas March appropriate. The sweater is the same black one from Old Navy that I wear all the time on weekdays. 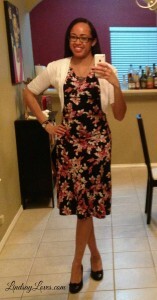 The shoes are also from Old Navy, from that spectacular sale. They need breaking in, but they’ll be a fine replacement for my other, well-loved black ballet flats. The old ones were only $4. The new ones were $9. Shopping win! Even though I was late to Mass, I had pre-read the readings while my hair air-dried earlier, so I wasn’t totally lost. I made it during the Psalm and quickly found a seat before the second reading. And then I went to confession last night, so it evens out! This week was much better. I got all my errands done yesterday, so I was free to prepare for Mass at my usual pace (which is sometimes one notch below breakneck anyway, le sigh). I lucked out with today’s ridiculous cold. It was in the low 80’s during the week, but when I left dinner tonight, it was 47. Forty degrees in a matter of days! The poor bluebonnets are going to freeze. I fell behind on my hosiery hand-washing, so I had only brown tights for today. That turned out to be perfect. The top is from Old Navy, and I scored it on clearance on a weeknight. 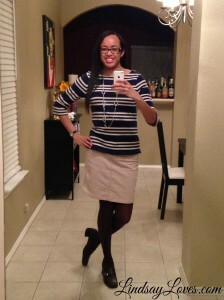 The lighter stripes are actually cream-colored, so it paired well with my old corduroy skirt, also from Old Navy. The tights look navy from a distance, but they’re definitely brown. 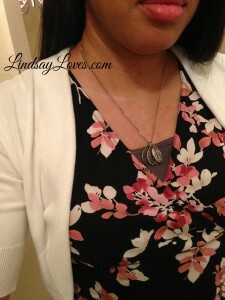 The necklace is from Target. It’s one of my favorite purchases, hands down. 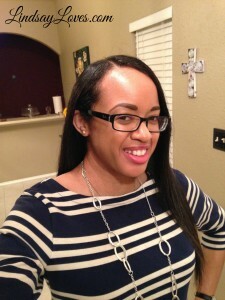 It was super inexpensive, and I wear it with so many basic tops like this one. It’s just the thing to add a bit of pop, and I loved coordinating it with my pearl studs from high school graduation. One more: a real selfie! My parish insisted that this week’s Lenten symbol was fire. Our guest priest called it “light,” but then he lit a bunch of random candles. I was super confused, because I broke down and paraphrased that whole gospel this morning. Today’s theme was absolutely not light. It was water, clearly. There’s no fire at a well. At noon. In the desert. Light is next week, for the gospel of the man born blind. Guest Priest did make an excellent point about the Samaritan woman’s “missionary discipleship,” though. That’s an easy part to miss, although someone I follow on Twitter (can’t remember who!) caught it: the woman leaves behind her water vessel to go tell everyone that she has found the Messiah. And everybody comes to check it out. As hot as it was, and as ashamed as she was to be at the well with other women, and as confusing as it was to have a Jewish man speaking with any woman—especially a Samaritan—she took off running to bring others to Jesus. I have joy, but I need to share it more. How about you? It has been two weeks of Lent now. For the first week and a half, I failed spectacularly on my secret Lenten resolution. Well, I wound up receiving the gift of light traffic due to spring break, so I now know that I face exactly fifteen minutes of purely school-related traffic delay every day. I guess that’s good to know. I like learning. 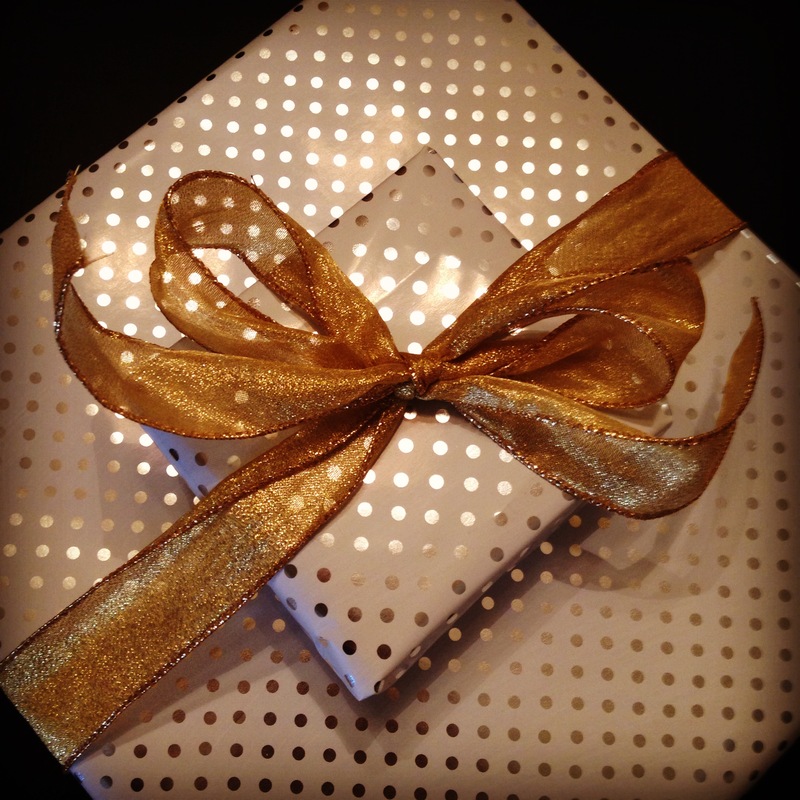 I am going to rejoice in keeping my other resolutions, and keep working hard on the secret one. Praying Compline every single day for so long that I can’t remember when I started: that is something to take joy in, too. I’m having a lot of trouble balancing my time. Even though I have arguably more time on my hands than I have since college (excluding my bouts of unemployment), I can’t seem to figure out how to spend it properly. I can go out for an event, but then I’m so sick of wearing work clothes and being social all day that I just want to be a Facebook hermit until it’s so late that I should have gone to bed an hour ago. Alternatively, I can come straight home from work, cook dinner, and watch some TV online, and feel relaxed but antisocial. Perhaps the biggest point that stayed with me from my reading of The Thrill of the Chaste was that there are no single men in my house. Finally, I come home after work and maybe a quick weeknight shopping trip (sometimes groceries, sometimes a good sale at Old Navy), eat kind of badly, read blogs and write here, but feel unaccomplished because I still haven’t called my mother. *You* try passing that up! With my coupon I only paid $9 a pair, and I replaced some that fell apart. Shopping win! Any tips on balance? I’m starting to realize that no one ever truly “has it all,” but how do I have some of it? “No, not really.” Point made. Along similar lines, the author of Seraphic Singles had a great post at her current fiction publisher about how to write a good story. 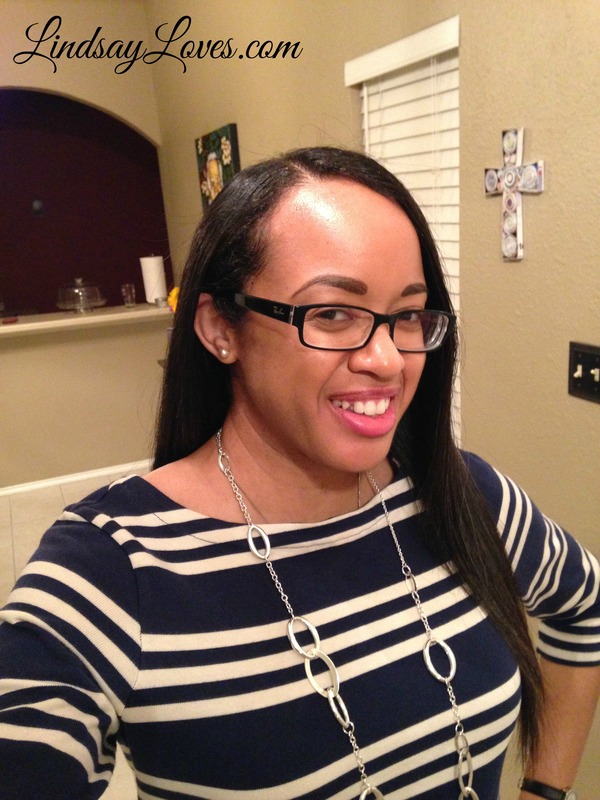 Her example is delightful and very true to her blogging voice. It reminded me of how much I used to enjoy writing fiction. That, in turn, reminded me of how much I enjoy blogging here about my actual life and opinions, and then I remembered that this post began as last week’s 7QT and I should probably just finish it for this week. Everyone’s a winner. Red bell peppers have been on sale at HEB for the past six weeks. I think I have purchased, sliced, and eaten at least two per week since then. This is a glorious season. I was very productive this week. 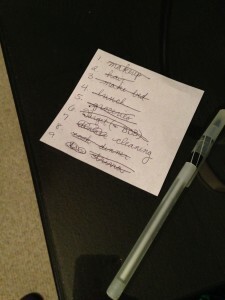 I made a to-do list on Saturday midmorning, and I set out to accomplish it. I almost did. The one leftover was cleaning the house, which I rescheduled to my otherwise vacant Tuesday evening. I had to start with a few things I absolutely knew I was going to do. That makes me feel even *more* accomplished. Getting in all that cleaning after going to work all day was difficult, but I managed it. I was less successful in my attempt to attend two big events on Sunday (one being Mass), but I got so much done on Saturday that I’m calling it a win. The other big event was my now-former-roommate’s bridal shower. I had a delightful (although heartbreakingly brief) time there. 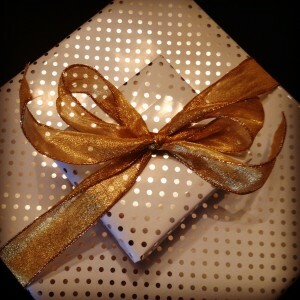 I didn’t get to see her open my gift, but I was joyful when I managed to quickly and efficiently wrap it up pretty. The ribbon was reused from Christmastime! [Reading] broadens my horizons and makes me look at ideas and people and life in general in new and interesting ways. Isn’t that what reading and art in general is supposed to do? How do you feel about this? Do you agree? 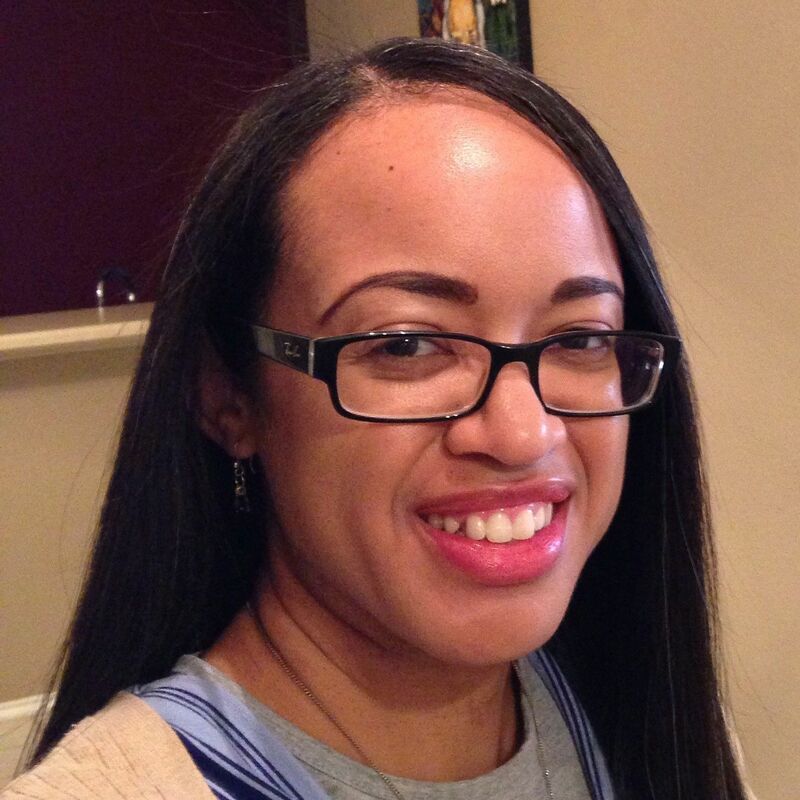 Before I decided that I wanted to enter my particular grad school program, I started down the path toward becoming a teacher. I took classes in English teaching during my last two years of undergrad. In one of them, we had an actual in-service teacher as a guest speaker. He said something I’ve never forgotten and have since adopted as my personal motto. We study literature because it teaches us what it means to be human. So no, I don’t think we read to “broaden our horizons,” especially because that is often code for “change our minds to agree with the horizon-broadener’s opinions.” If you’re trying to persuade someone, just admit it. If you’re trying to push an agenda, you’re welcome to do so, but don’t try to mask it as “being exposed to new ideas.” You don’t just want exposure; you want change. You want conversion. I’ve done that myself. I’m Catholic. We evangelize. Some. More than we used to, anyway. That’s not what I think books are supposed to do, though. We only get one life per person. It can change dramatically, but it’s still the same one. Literature bridges the gap. It takes us to an imagined past or a terrifying future. It hits close to home and reveals worlds we never knew. Can a book change the way you see the world? Absolutely. Should it change you? Maybe. Welcome back to WIWS, where this week features another two-fer. Last weekend got away from me due to the all-day Saturday move. I also lacked wi-fi, and posting a WIWS from my phone seemed just too insurmountable a challenge. Let’s start with last week. I had to lector, so I wanted to wear my cross-patterned scarf again. I don’t quite feel comfortable wearing it to my secular workplace, so it’s getting a lot of mileage on Sundays. It was also remarkably cold and windy, so I layered up with a long-sleeved undershirt and this great gray herringbone dress from Target. I originally got it to wear to a wedding, but since it’s so heavy and pretty fancy, I don’t wear it often. The herringbone reminds me of a man’s suit. I love a man in a suit. 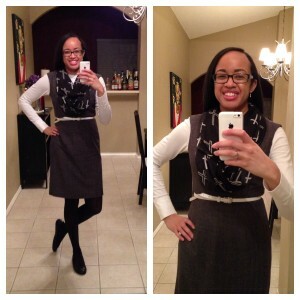 The white skinny belt helped pull together the black and gray with a little more white. I felt strange not wearing anything colorful, but monochromatic is a color scheme, too. I could have used some gray shoes here, I think. 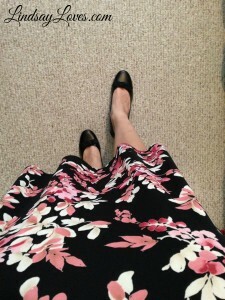 I wear black shoes with my gray pants and gray skirt, but can I use that same color combo with gray shoes and black bottoms? Hmm. Today was a bit warmer, but not much, so I layered up again. Sorry about the blurry full-length! Mirror selfies are tricky. I’ve worn bits of this to work before, but this is a brand-new combo. I love this Target skirt so much. I initially chose it today to go with chocolate brown tights, but I decided to skip the tights and just go with the skirt. I added this great navy blue polka-dot button-down from Old Navy and my blue polka-dot sweater, also from Target. I wasn’t quite sure about the convergence of dots, but I like how it turned out. Also, my neutral brown sweater is still air-drying from laundry day yesterday. I had a killer time getting that sweater on over my button-down’s long sleeves, though! I guess I’ve only worn it with short sleeves before. It’s so fitted that I was pulling and tugging like crazy. And of course I was looking in a mirror at the same time, so I had to watch my own comedy routine. Thank goodness my roommate didn’t pick that moment to come out of her room. The shoes were a challenge. 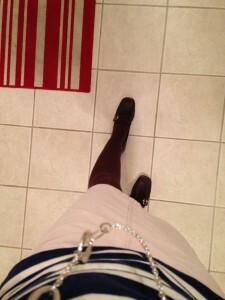 I have only worn this skirt with brown shoes before, so I have that color combo burned into my brain. 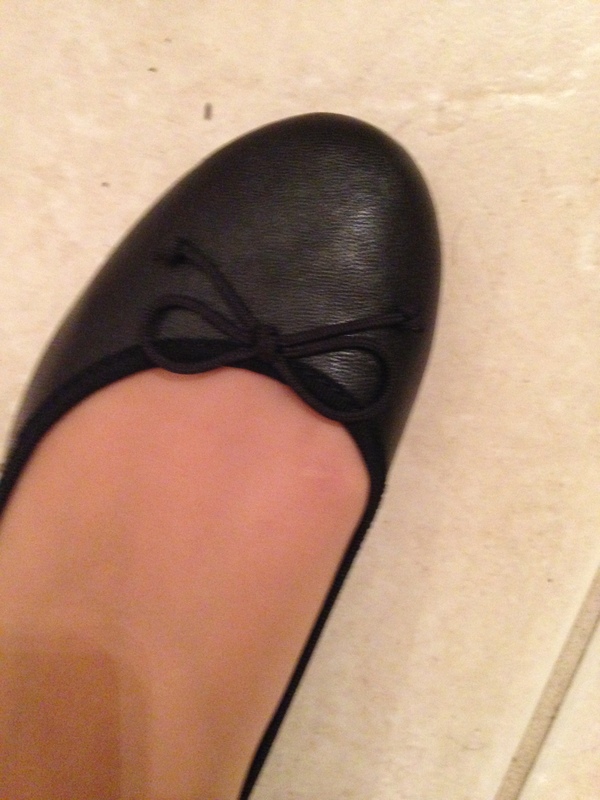 Today, though, I wore my navy blue ballet flats. I’m still not sure how much I liked the look. Any ideas? Should I have gone with chocolate brown, or is the navy okay? We had a guest presider at Mass tonight, one I know from my old job. He mentioned the three leading interpretations of what the original sin was, specifically: disobedience, gluttony (which was news to me), or a sexual sin. I don’t think he actually said the part my mind wandered to next (sorry, Father! ), which was that Jesus is tempted with gluttony, disobedience, and power in today’s Gospel. Having fasted for forty days, he knows he lives on more than bread. Having great trust in the Father, he knows that his life is not to be toyed with. Having humbled himself despite his own power, he respects the authoritative power of his Creator. As St. Paul says, although the first Adam brought sin into the world, the second Adam kicked it out. I love the readings for special seasons and feasts. The takeaway message is so much more invigorating when it’s staring you right in the face in every reading. I think this is going to be a good Lent. I am so glad that today is Friday! The week blew by, and I had an unusually busy day at work, so I am very appreciative of the two days of no working ahead. On a related note, I am absolutely adding “skilled at packing and shipping” to my résumé in the future. I survived the Weekend Without Wi-fi, although it was a close call. If I hadn’t had 4G LTE on my iPhone, I probably would have fallen apart completely. I used it sparingly, though, because I have never gone over my data allowance and I am not about to start just when I’m crawling out of the broke hole I was in for most of last year. I used my time helping my now-old roommate move out, cleaning the house like I do every other Saturday, cooking dinner, and watching A Series of Unfortunate Events. I also managed to finally unpack my last box from my own move in July. Hooray! The walls in my room are still mostly bare, but I have my framed photos up now, so it looks like I actually live here now. Sunday was a much easier day to be without wi-fi. Reading a real book while eating breakfast (instead of getting sucked into BuzzFeed) was the best motivator for getting my hair and grocery shopping done before Mass. I lectored, we counted the collection unusually quickly, we ate at Jason’s Deli, and I survived the ridiculously blustery night to swing by Target on the way home. By the time I got home from work on Monday, we had wi-fi again! Well, almost. My new roommate, Samantha, had come home to let in the Internet guy, and he had hooked up the modem to my laptop with an actual Ethernet cable. That was the first time since I moved to Austin that I’d been hard-wired to the Internet. You see, I discovered when I signed up for service that we could save about $12 a month by switching to a modem-only setup, as opposed to our previous “wireless modem.” I had not known such a thing existed before I moved in here. It was handy to have just one box, but we have plenty of tech space since we’re not gamers or big media people. So when I got home, I completed the setup on my wired-up laptop, then immediately set up the wireless router I’d purchased when I had this same provider during my first year in Austin. I had to do a factory reset (with a paperclip and everything) since I have no clue what the old password was, but it worked. I gave the router a nice, holy name and a strong password, and I even remembered to change the router login credentials. And I did all of that in about 40 minutes while reheating and eating a bowl of leftover homemade turkey chili. My stealth techie card is still valid! I celebrated Fat Tuesday excellently this year. Some friends and I met at a local restaurant for dinner. I ate so much that I actually had a mild stomachache, but it paid off in my ability to skip breakfast and wait until lunch to eat on Ash Wednesday. 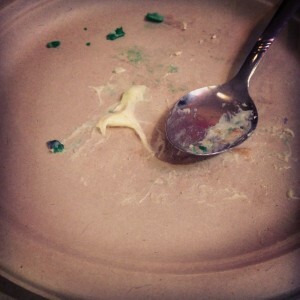 I should have taken a photo of my king cake before I ate it. The remnants should attest to its deliciousness regardless. I have been remarkably social for the last few weeks, and although it is taking a lot of energy, it feels good to be out having fun. The world through my computer screen is only so big. This was one of the better Ash Wednesdays I’ve had in a while. It was so strange to not have to work extra hard. I did miss seeing the Ash Wednesday Clown Car, but I enjoyed being able to just be a regular parishioner. I decided to go to Mass well after work. 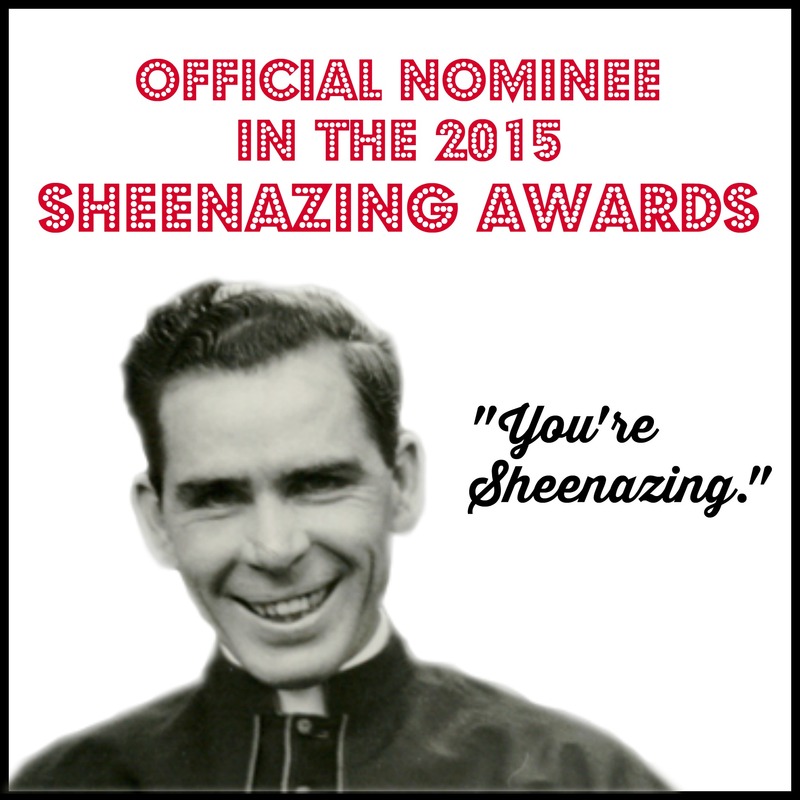 I’ve been making an attempt to go to my actual parish for events, even though there are two other closer parishes. Even with Austin traffic, I was able to get into the neighborhood early enough to make a stop at the nearest library branch for a few books and bit of Facebooking via library wi-fi on my phone. When I got to Mass, I was on time and so relaxed. It was the best decision. It was also an act of humility, because I didn’t wear my ashes all day. I got to sit among friends, and the homily was actually pretty good. Fr. Pastor focused on forgiveness and invited everyone to come back on Sunday, especially people who don’t usually go to church. Wednesday also marked nine years since I returned to the Catholic Church. I’d made the decision before then, but I hadn’t actually gone to church until that day during my freshman year of college. And look at me now! Benefit of social media: evangelization through #ashtag. 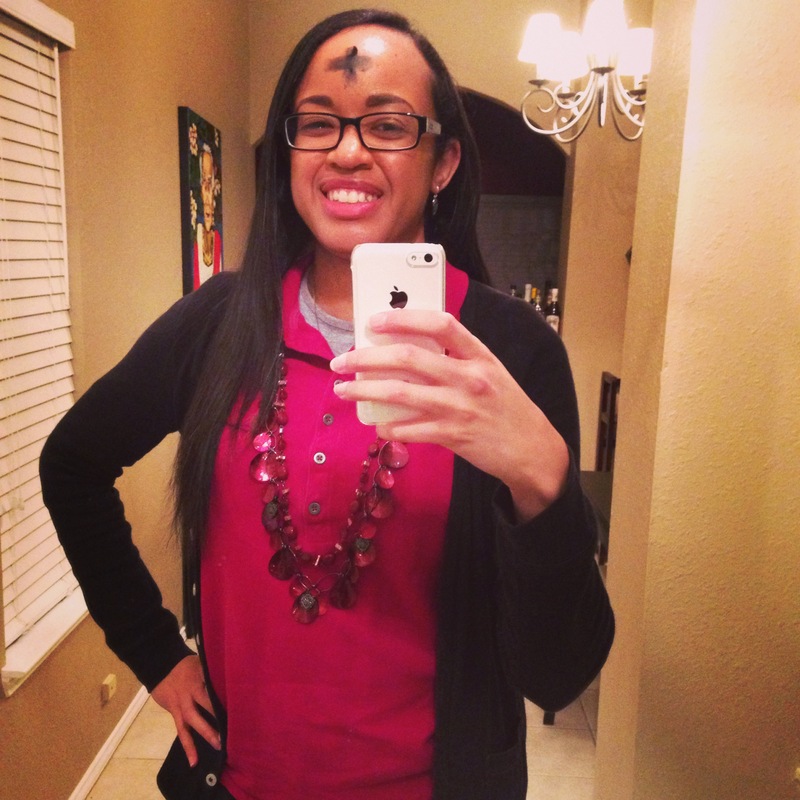 That first Ash Wednesday, I heard a homily about forgiveness. This year, I heard the same. There are no coincidences. So far, I haven’t told anyone what I’m giving up for Lent. I always read a reflection booklet my best friend Sarah’s mom gave me years ago. I’m not generally a fan of Henri Nouwen, but even after flirting with the Little Black Book, I’m happy that Christ Our Hope has been my constant companion. I also give up alcohol every year, even though I don’t drink much anyway. My main Lenten discipline is a doozy, and I know I will be holier if I can accomplish my goal by Easter. These first few days are like Lent training wheels: if you got wobbly or fell already, just brush yourself off, get a lollipop and a sticker (unless you gave those up), and get to riding again. Lent is a marathon, not a sprint! Holiness takes time.